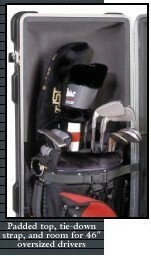 Need a good golf travel bag with extra room and all your stuff. 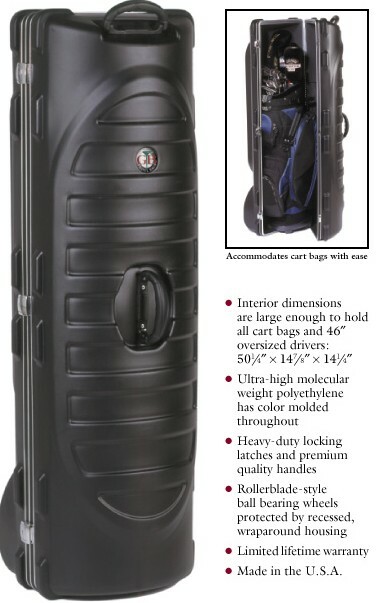 Need a good golf travel bag on wheels with enough room for an overnight trip. Leather highlights gives you the appearance of a high roller. 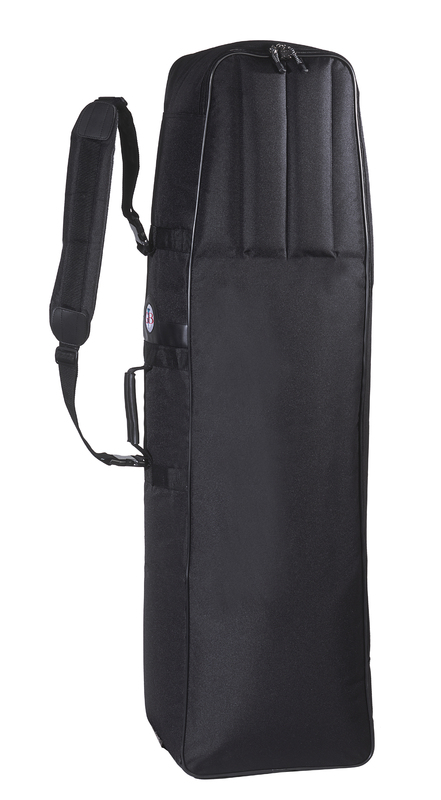 The last word in soft-sided travel bags, the Club Limo 2 represents the current state of the art in travel bag design, combining rugged materials with all the protection and features you’ve come to expect from Golf Travel Bags. 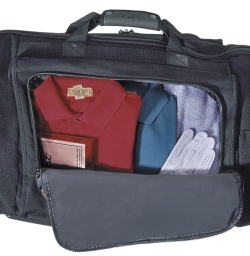 Dimensions 53" x 14" 10"
Need a carrier for that once a year trip, the executive might just be what you are looking for. 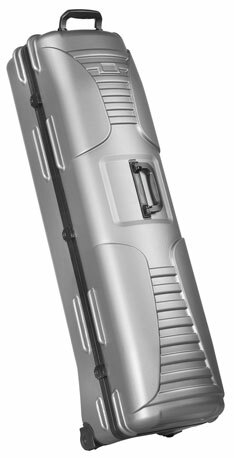 The Guardian from Golf Travel Bags offers the benefits of a hard-sided golf travel case at a modest cost for the budget-conscious golfer. Made from ultra-high molecular weight ABS with color completely molded throughout, it features three heavy-duty locking latches and two premium quality handles. Rollerblade-style ball bearing wheels are protected by recessed wraparound housings to percent damage from airline baggage handlers. Sized to fit 90% of the golf bags on the market today. 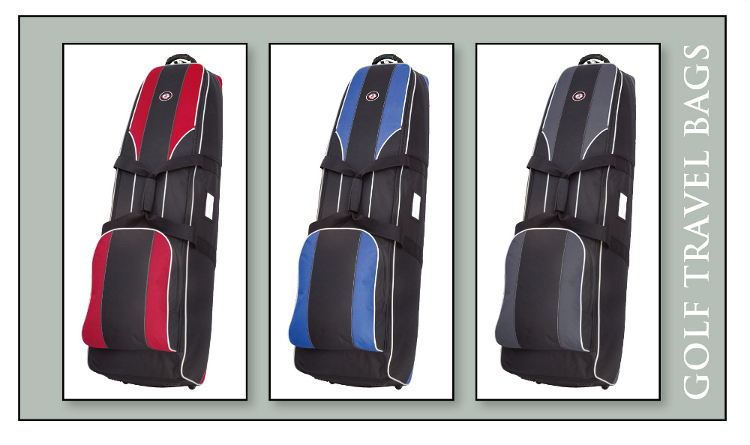 Dimensions 50" x 13.75" x 14.5"
Superior golf travel bag on wheels with enough room for the extra gear. Hard case and soft case all in one compact unit. Get the best of both worlds, a hard sturdy top with a super tough nylon bag. 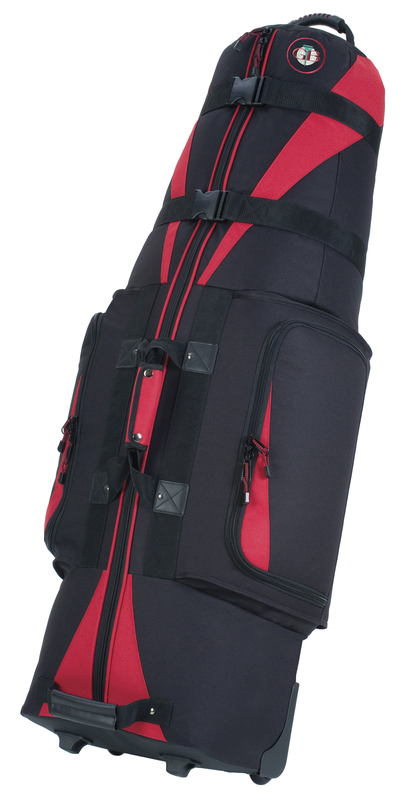 This bag is great protection for your clubs and roomy enough for the little extras. Holds bags up to 10.0"
Travel is tough. Roll with it. 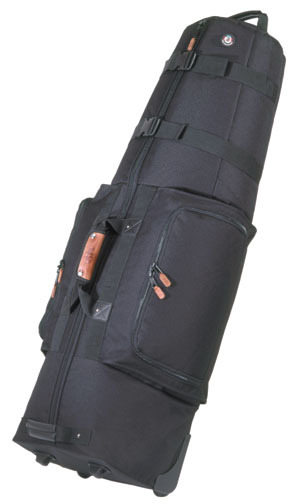 The Viking is our most affordable Golf Travel Bag with wheels.